That's not usually news. It is this time. 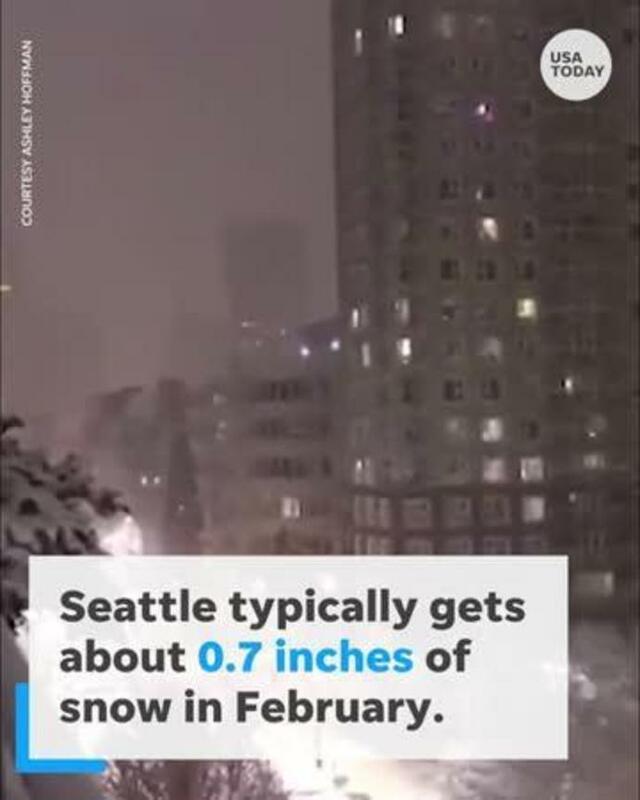 Following a historic winter storm that has already made this month the city's snowiest February since 1949 according to Accuweather, Seattle was dealing with more familiar weather on Monday night, though life won't immediately return to normal. Air travel was scuttled, too. A Federal Aviation Administration "ground stop" at Seattle-Tacoma International Airport remained in effect for about four hours on Monday night. There had been 405 cancellations and 271 flight delays on Monday, according to FlightAware.com. The snow's impact was worsened by a prolonged stretch of temperatures in the 20s and 30s, with wind chills into the teens - also unusual for the Emerald City.